"O Lord of the demigods, please quickly remove this useless material existence that I am undergoing. O Lord of the Yadus! Please destroy the boundless accumulation of my sinful reactions. Alas! 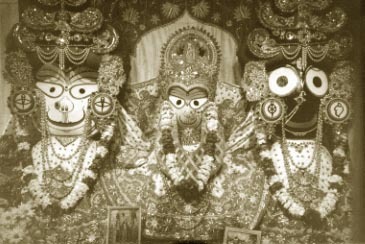 It is certain that Lord Jagannatha bestows His lotus feet upon those who feel themselves humbled and helpless in this world. May that Lord of the Universe kindly become visible unto me."